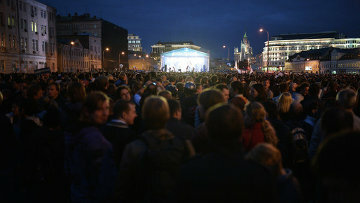 Russian President fixes fines for alluring minors to rallies | Russian Legal Information Agency (RAPSI). MOSCOW, December 28 (RAPSI) – Russian President Vladimir Putin has signed a bill introducing fines for involving children into public events such as rallies, demonstrations, or pickets into law. The document has been published on the official website of legal information. The law amends the Russian Code on Administrative Offenses. It stipulates fines of up to 50,000 rubles (about $800 at the current exchange rate), compulsory community service for up to 100 hours, or detention for up to 15 days for individuals. Officials and legal persons would face fines of up to 100,000 rubles (about $1,500) and up to 500,000 rubles (about $8,000) respectively. Repeated violations would result in fines of up to 300,000 rubles ($4,500), community service for up to 200 hours or detention for up to 30 days for individuals. Officials would be punished with fines of up to 600,000 rubles ($9,000) while companies would face fines of up to 1 million rubles ($15,000). In May, the initiative was supported by the Moscow Region children’s rights ombudsman Ksenia Mishonova.